The filthy cheating Celtalians with their uncompetitive cheating league might be facing financial oblivion at the hands of the man who paid Beaver to eat out in Bath, but the competition itself is beginning to boil up nicely – the big three Irish provinces are up near the top of the table, and, as Joe Schmidt will be happy about, his big guns are successfully being incorporated into his arsenals. His squad members (the 23, not the tackle bag-holding 40+ he has named) who are back in the groove looked in pretty good nick. Dare we start to become optimistic about an international rugby season for the first time in a long time? At the Oar Dee Esh, some bloke called Brian came back and looked classy and assuredly assured – this might be Schmidt’s only season with Drico in green, and the succession will be difficult to manage (since he can’t play the strongest candidate until next September), but he’s going to be a key man. Jamie Heaslip looked good for Leinster too, and Ian Madigan finally got some good game-time at outhalf – Le Johnny will be Schmidt’s clear number one, but good backup is critical in such a pivotal position, especially if Johnny arrives at the Six Nations fatigued and at risk of injury. As good as Paddy Jackson did with ball in hand, and as much-improved as his tactical kicking was, Ireland simply cannot carry a place-kicker with a 60% record – the margins at international level are too small. Inside PJ, Paul Marshall looks snappy and buzzes around eagerly – Conor Murray is far and away the best scrum-half in Ireland (and possibly further afield) but Marshall looks the best impact option from the bench. Then outside PJ, Luke Marshall is not only back and healthy, but is purring like a Rolls-Royce – he said after the Treviso game Ulster were just getting out of third gear, and if he can improve on how he is playing, he will walk back into the green 12 shirt. Where this leaves Stuart Olding and Paddy Wallace is another question – but that’s for Anscombe. Rory Best finished last season a shadow of the player he has been, but Ulster’s scrum and, crucially, lineout have been strong – and NWJMB has been playing in the second row. Ireland haven’t had a man in that position who can beat defenders and pass the ball since …. *wracks brains* Davy Tweed? Joke. Obviously. We think ever. Donnahca Ryan and Mike McCarthy represent the competition. Ryan apepared to be playing hurt for much of last season and lost his mojo, but his aggression will be invaluable if he can rediscover his best form. Further back, Chris Henry got knacked last year just when Deccie could have done with him, but he’s going to an option for Ireland. As is the incumbent openside, O’Mahony, with his elusive running and passing skills, looks a far more natural number 8 (and much-needed competition for that jumper) but he started at 6 for Munster, and as captain. He led well, scored a try (and was brave and never took a backward step © Irish Time sports staff) and will be a really important player for his province this season. Schmidt has never shied away from picking O’Brien at seven, so playing on the blindside needn’t hinder O’Mahony’s chances of holding his starting shirt for Ireland. Even more encouraging for Schmidt was the sight of Paul O’Connell toddling on for the last 20 minutes – the Munster and Ireland packs are much more effective with the ginger giant in situ – he will be needed if Ireland are to win any of their November games. The prospect of POC and Ian Henderson lining out together for Ireland has us drooling. With Tommy Bowe, Bob and DJ Church also getting starts, and Conor Murray expected to be available for the MMA game next week, Schmidt will be happy how his starters are shaping up. If SOB and Flogged Mike Ross limber on in the same game (and limber off naturally), the milky bar kid will be smiling from ear to ear. Maybe Mike Ross will try and have another cut at beating his man on the outside – what could possib-li go wrong? Now – let’s have nobody get injured between now and November. As one canny tweeter pointed out yesterday, with each public utternace, the LNR, the PRL, the unions and the ERC become more and more entrenched in their position. It’s increasingly hard to see how a resolution will be achieved. In what has become a particularly ugly game of high-stakes poker, the current strategy on all sides is to continually over-raise one another ad infinitum. Yesterday we had Bath chairman Bruce Craig, a man with the greater good of the game no doubt at the forefront of his mind, effectively blackmail the Celtalian unions. If you do not join our ‘fabulous new European competition’, said the man who paid Beaver to eat out, you will face ‘financial oblivion’. The highlight of his little outburst was his assertion that the Cup for Winningest Winners was going to ‘save European rugby’. Those who didn’t know exactly what European rugby needed saving from now had their answer: these guys. Then Jacky Lorenzetti, the Racing Metro chairman, laid out the grand scope of the new competition. It will apparently include South African, Australian and New Zealand franchises, a veritable World Club Cup. How such a thing could possibly work has not been revealed. The fact that England and France are on literally the opposite corner of the globe to New Zealand and Australia appears to have gone unheeded. Will Bath be trekking the 30-plus hours required to get to Canterbury to play a Cham-pi-on-es Cup match against the Crusaders? And get toasted by 60 points based on current squads? It looks like a ludicrous over-bet. Perhaps the next step for those on the other side of the table is to the call them on it. With all the Heineken Cup wrangling so prominent, it feels almost as if the tournament itself will be a mere background event this year. How’s about Ulster vs. Leicester on Friday night at Ravenhill to kick off proceedings? Sounds great, but first tell us about the latest cloak-and-dagger statement to come out from Ligue National de Rugby. While the Celtalian provinces/regions/franchises don’t come to the negotiating table speciafically, being represented by their umbrella unions, they can do themselves a service by showing strongly and putting out a message to the English sides that they are worthy of being here, regardless of what rule changes may exclude them in the future. Leinster, Munster and Ulster we know will be competitive – they always are. It’s time for a handful of Pro12 teams outside the Irish Big Three to show that Anglo-French perceptions of the Pro12 as a sort of joke tournament are wide of the mark. First on that list has to be Glasgow, increasingly impressive in the Pro12 but seemingly unable to translate their form into wins against the more physically imposing sides in Europe. Last season they won just one pool game in a group with Ulster, Northampton and Castres, but finished third in the Pro12 and were deeply unfortunate not to beat Leinster in the semi-final. Spearheaded by the magnificent Josh Strauss at 8 and with great attacking players like Stuart Hogg and Sean Maitland in the backline, it’s high time they brought their A-game to the next level. A lot appears to hinge on which Ruaraidh Jackson shows up for them; more often than not it’s the patchy, flaky, indecisive one. With Exeter, Cardiff and Toulon in their pool, winning it outright looks difficult, but they should be targeting second place. Another who can impose themselves in their pool are the fast-improving Treviso. The premier Italian franchise remain formidable at home, and racked up wins in the second half of last season’s league to finish a creditable 7th. Their season has been slow to start, but in beating Munster on Friday night they are up and running. They have signed Matt Berquist to play 10, and it could be a shrewd bit of business, as they have been crying out for a controlling fly-half. They’re in a pickle of a pool, with Ulster, Leicester and Montpellier, but two home wins is a realistic target. French sides can take a lackadaisical attitude to such games and are ripe for taking by surprise, and only last season, Leicester only beat Treviso through a somewhat dubious penalty try minutes from the end. Ulster have yet to hit their stride, and are eminently beatable if they have an off-day. Ireland’s ‘fourth province’ Connacht have been a soft target for the likes of Stephen Jones, who has said they are not ‘elite’ whatever that means, but they have given a great account of themselves in the big league so far and are back again this year (thanks again to Leinster). Their group contains Saracens and Toulouse, as well as Zebre. Toulouse have been to the Sportsground before, and won comfortably, but they are ageing and dull these days. Connacht will be targeting that game in a big way, and a win would put out a huge signal of the Pro12’s strength. Finally, what about the Welsh? As usual, the Ospreys are their best hope. For all the brickbats they receive, they usually make a big contribution to the tournament. Last year their 15-15 draw with Leicester was the best match of the season, but they have a habit of coming out on the losing side of thrilling games. They join Leinster, Saints and Castres in what should be a white knuckle-ride of a pool. Even if they don’t come out of the pool, their results may define it. HEC Future: What are Sky doing? Last Sunday, while winding his way through an interminable amount of shirts to be ironed, Egg found himself watching rugby on Sky. Not just any rugby, but a DOUBLE HEADER, LIVE from Sandy Park – Plymouth Albion vs Jersey followed by Cornish Pirates vs Bristol! Oooooooooooooooooooooooooohh!!! The Sky hype machine was in overdrive for this one – the big guns of Greenwood, Quinnell and Morris were all on show, and the high praise of the Jersey scrum-ha ….. MAKE IT STOP. Greenwood looked white as a sheet, and while he feigned enthusiasm, he was surely thinking this was a step too far. Championship rugby? On Sky? Purr-lease. While McCafferty has been throwing BT Sport’s megabucks in everyone’s faces while bumming and blowing about his flash new Anglo-French Cup, what has Sky’s response been? Are Sky compromised due to non-disclosure elements of the existing deal? Is there a new one on the table? Could they put out some well-timed press hints about a few millions on offer to stay on board with the ERC? Publicly, nothing seems to be happening, but in this new world, money talks. And Sky have plenty of it. While the English and French clubs are imposing their agenda on the Celts/Italians, in theory they could be stopped immediately by their respective unions. While club rugby increasingly holds the aces in both countries (a process that has naturally gathered pace since professionalism), the unions are still in charge, on paper anyway. They have a few options available to kill the BT Sport Benjamins Cup – the nuclear one being a ban on international rugger for players who participate – something like the upshot from Kerry Packer’s World Series Cricket in the 1970s. With the reverberations from cricket’s civil war still fresh over 30 years later, that’s unlikely, but it still means the clubs need at least to pay lip service to the unions views. What then of the Celtalians? 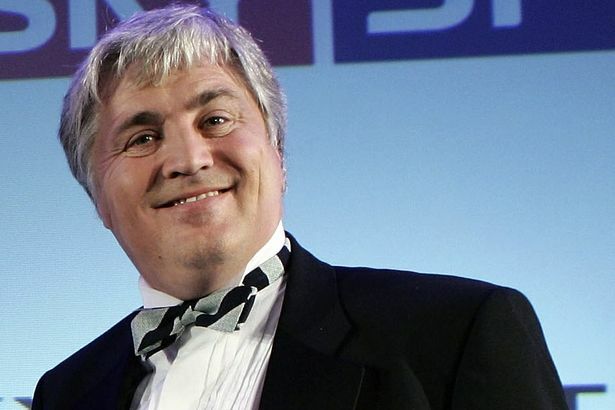 The unions there could possibly get involved more to save the current HEC setup – their nuclear option is pulling out of Six Nations TV deals (or the tournament itself if it came to it) which would get the RFU’s attention, who then might get talking to PR. For that, they would need a united front and the will to push hard, and neither seems a possibility. If the Celtalians are to make a stand for the existing ERC, the minimum they need is a united front, iron will and some political cunning to out-manoeuvre PR. Given the Welsh look wavering material and Leinster are already pushing towards whatever competition comes into existence, it increasingly seems that the HEC, in its current form, is doomed. The future of the Heineken Cup has been exercising us of late, as you know, and recent developments are pretty worrying from an Irish (and Celtic) perspective. Basically the English and French clubs are taking the ball away unless you play by their rules i.e. let them have more money. While we have some sympathy for the view that the qualification rules need reform, it seems obvious that is a smokescreen – and an ugly one at that. The ERC i.e. those who stand to be cut out altogether, have resorted to putting out hand-wringing press releases begging the English and French to stop putting out press releases – it’s pathetic, and the state of affairs has been wrought by the flash cash of BT Sport turning the heads of Premier Rugby and their odious mouthpiece, McCafferty. In addition to threatening one of the best competitions in rugby to make a few extra quid, it’s given rise to the usual amount of hot air (from both camps). In a bid to find public sympathy with their grandstanding, both sides (although particularly the PRL) have been happy to put a number of myths out into the public domain, dressed up as facts. Reality: The idea that Leicester and Toulon are busy scratching around to avoid relegation and, as a result, can’t give their all to Europe, is laughable. The English are French teams that compete in the HEC are largely the same every year, and this is down to them being the richest and having the biggest squads – every year the biggest teams aim to win domestically and go far in Europe. The two aren’t mutually exlusive, quite the opposite infact. It’s worth acknowledging that the European success of Embra two years ago came at the cost of them lying down getting their bellies tickled week in week out at home. It was rather unedifying, and brought the automatic qualificaion of both Scottish franchises to the forefront – let’s hope it didn’t tip any balance. Yes, the Irish provinces’ players enjoy a lighter workload and play fewer league games, but on the other hand, they are forbidden from padding out their squads with unlimited numbers of foreign players. What’s given with one hand is taken away with the other. Reality: Dean Ryan said last week that the HEC lags miles behind the LV Cup in terms of match-day income for the teams. We find that impossible to believe – one is watched by over a hundred thousand fans* every week with every twist and turn, and the other by three men and a dog watching Gavin Henson’s latest comeback. Like or loath Miles Harrison, Barnesy, Paul Wallace et al, there is no denying the quality of the Sky broadcast, and the colour of their money. Sky have pushed the HEC right to the top of their schedule, and invested their expertise in it – it’s great to watch and be involved in. Sure, less teams would mean less (not none – recall the fearful hammerings Toulon handed out to Sale last year) turkey shoots, but does that make it a better product? Maybe, maybe not. Now let’s say the clubs get their way, and we end up with a 20 team contest with just two guaranteed Irish (one possible solution) – based on last season’s Pro12, Munster would be in the Amlin this year, or whatever it would become. Would that improve the HEC? Munster are an integral part of the HEC and have given a huge amount of drama to it over the years. The idea that the tournament would somehow be more elite without their presence is so far the wrong side of ridiculous as to be comedic. The English routinely fall over each other to praise the atmosphere in “Tomond” Park, and Saturday night games there, complete with mist, baying hordes, drooling Irish Times correspondents and away kicker nerves, are the epitome of mid-winter must-win pool games. Reality: The Premiership as a whole about breaks even – the clubs that make money are those that own their own stadia, and those that don’t, don’t. The likes of Leicester, Northampton, Gloucester and Exeter reap the benefits of non-match day incomes (and no rent) and can continually invest on the rugby side of the business. On the other hand, the likes of Bath and London Irish are permanently scratching out a perilous existence. The Premiership clubs without stadia will use any extra cash from BT Sport for investment, benefitting the rugby community at large. Its a damn sight better than some Glazer-esque cowboy bleeding Sky’s millions into fees and offshore shell companies. Reality: This line of argument usually does along the lines of “Oh, that bosh-tastic 12-9 drop goal contest between Racing Metro and Biarritz was all down to fear of losing because they really, REALLY want to be in next years HEC and need to finish in the- top 6 to get there”. No, that was down to the monstrous packs and centres trying to run through each other all day. Plus, it doesn’t hold for the Premiership – we’ve said it before, but we don’t buy the Celtic myth that the English league is a scrum-filled bosh fest. It’s actually quite good to watch, (and has bags more tries than the Pro12) and Leicester are among the most inventive teams in Europe these days. Sure, when Worcester and Newcastle grind out a 6-6 draw in February, you feel like tearing your eyes out, but is it any different for Dragons-Embra? Reality: For all the macho posturing of the PRL, it would seem to be a total non-runner – ditch the HEC for a slightly better version of the Anglo-Welsh Cup? Cancel my ticket. Do they really think the French clubs would buy into that wholeheartedly? Will Toulon play their firsts for that highly-anticipated Pool C clash in Exeter (other teams in pool: Bath and Perpignan – Ooooooooooh!!) or will they save them for a nice Mediterranean slug with Montpellier in the Top Quatorze the following week? Think we know the answer. And what would the BT money-men make of it? The IRFU may not appear to be in the strongest of bargaining positions, but they do have something to barter with: any future tournament needs the Irish provinces for the quality they provide. Leinster this week (sort of) announced the signing of Lote Tuqiri, the Fijian-born Australian sometime superstar, who at 33, would appear to have his best days behind him. It’s not the sort of signing Leinster fans are used to seeing pitch up at the RDS, but being a three-month deal with a view to shoring up the wide positions until Zane Kirchner finishes up with South Africa, it probably makes sense. This is not the time to be recruiting, so pickings are slim. Since Eoin O’Malley’s hugely unfortunate retirement was announced, sheer lack of numbers of the nippy lads looks like being Leinster’s biggest obstacle to success this season, especially since the fans have become used to the team fighting on two fronts. It’s the strength of those one or two rungs down the depth chart that determine the chances of a team getting a home semi-final in the Pro12, and it’s in that area that Leinster have trumped all-comers over the past few seasons, with the likes of Ian Madigan, Heinke van der Merwe and Fergus McFadden spearheading an international-class first line of reserves capable of racking up multiple wins at home and on the road against middling opponents. A quick look at the comings and goings in the Leinster back-line shows a worrying net loss in terms of talent and numbers. Jonny Sexton – needs no introduction as the unchallenged starter of all three Lions tests in a winning series. Arguably the best player in the side over the last four years. Isa Nacewa – announced retirement and desire to return to New Zealand with family. Stalwart full-back and winger, whose experience and ability to guide those around him made him a crucial player in Pro12 ‘midweek’ games as well as being a key man on the big occasion. Andrew Conway – curious decision to leave for Munster has yet to be fully explained, but indications are he left in a bit of a strop. Talent started to bloom late last season, and he most certainly would have been afforded multiple opportunities in blue had he stayed on this year. Fionn Carr – never got to grips with Leinster’s attacking style or improved defensive shortcomings, but always had the potential to do something when the mood struck him. Eoin O’Malley – prematurely retired due to knee injury. Classic footballing outside centre and natural successor to the great one, but we’ll never get to see how good he might have become. Jimmy Gopperth – dependable place-kicker with Newcastle Falcons for many seasons. An experienced player who knows his way around the game, ideal foil for Madigan. Debut in Llanelli has raised expectations. Zane Kirchner – South African full-back, currently starting in their national team and among try-scorers at the weekend. Will not make it to Leinster until Rugby Championship is out of the way. 9 Eoin Reddan / Isaac Boss – expect to see O’Connor continue with a horses-for-courses approach to his two scrum-halves. Both have another year on the clock, however, and are now 32 and 33 respectively. Reddan’s game relies on speed to the ruck and if he lost his speed he would be severely diminished, as he is not a great strategist or game manager. 10 Ian Madigan – huge pressure on the young man’s shoulders. More Contepomi than Sexton, his talent is super-abundant but he’ll hit his share of bumps in the road. 11 Luke Fitzgerald – there is so much goodwill towards the luckless Blackrock man that you almost feel anguish every time he takes the field. Long overdue a run of injury-free good form. 13 Brian O’Driscoll – will continue to be first choice as Leinster look to milk every last bit of his final season. Prepare to see grown men weeping at his last match. 14 Fergus McFadden – the utility man asked to be considered in one position last season, but who knows if O’Connor will continue to see it that way? Still, it looks as if he will be required at 14. 15 Rob Kearney – struggled in an injury-blighted campaign last year but is surely too good a player not to return to something like his best this season, fitness permitting. It’s an all-Irish backline, but crucially, an all international backline, which means they’ll spend plenty of time in camp with Joe Schmidt and the next wave will be needed to make in the region of 14-16 starts in the Pro12. The hope would have been that this next wave was Gopperth, Conway, Goodman, O’Malley and Dave Kearney with Nacewa in tow, but instead it’s Gopperth, Darren Hudson, Andrew Goodman, Brendan Macken, Dave Kearney and Kirchner/Tuqiri. Goodman, Gopperth and Kirchner are experienced players, and both management and supporters will have a good idea what will be required of them. Gopperth has to kick a multitude of points, Goodman has to break the gain-line and Kirchner has to bring the best parts of his game, and leave the rest in South Africa. By our count that leaves three players who will be relied upon to contribute much more than they have in a season to date. 1. Dave Kearney – last season was interrupted by injury, but the year before he played very well and was named on the bench for the Six Nations opener against Wales. The player he got the nod ahead of that day was Simon Zebo, who has since been on a Lions tour, so there is ground to make up. This year Dave Kearney will be expected to push very hard for selection in the Heineken Cup team. Kearney’s strength is his elusive running, but he needs to improve his tackling and try-count, which runs at 12 in 53 appearances. Started 10 Pro 12 matches last season, but will be expected to produce something more like 2011-12 when he made 18 starts, but most importantly, he will be required to become a fixture of the Heineken Cup matchday squad. 2. Brendan Macken – Something of a frustration in his time so far for Leinster, where he remains better known for his (admittedly pretty good) Ryle Nugent impression rather than his contribution on-pitch. O’Malley’s injury has pushed him up the rankings, and it must be hoped that he can improve his aggression in defence and somehow inherit some of O’Malley’s game-awareness. He started 10 games in last season’s Pro12 and will be expected to imrove on that by 50% this year, and with greater distinction. Friday night represented an encouraging start. 3. Darren Hudson – the Mary’s wing has featured just nine times for Leinster and turned 23 in June, but looks set for a prominent role this year. Came off the bench on Friday night to score his first try in blue, and he can expect to be called upon in around a dozen games this year. It remains to be seen how good he is at this level, but he is strong and quick. If those three lads can make the impact required of them, Leinster will be some way towards having the required mettle to be competitive on both fronts this season. It’s almost certainly a regret that Niall Morris, 40 appearances and counting for Leicester, was allowed to leave, and it’s still hard to understand how Conway ended up moving to Munster. Leinster will hope that they don’t experience a run of injuries akin to last season, because if they do they’re goosed. If they can ride their luck ont hat front, they should cope this season. Next year, when Brian O’Driscoll and almost certainly Leo Cullen will not be around, is an entirely different matter, but is a fence O’Connor will soon have to have to start thinking about how to get over. In the Coen Brothers’ oddball classic O Brother Where Art Thou, when George Clooney’s character finds himself surrounded by enemies with machine guns who are setting about torching the barn he’s stuck inside, all he can bring himself to do is to repeat ‘Damn! We’re in a tight spot’ over and over. It’s a denoument similar to the fate of the Heineken Cup’s immediate future. It’s in a very, very tight spot indeed, and it’s getting to the point where it’s conceivable that the episode won’t have a happy ending. The potential for ruinous consequences is great indeed. When this saga first kicked off, the noises coming out of the English and French camps were about meritocratic qualification for the tournament from the Pro12. Initially, we had some sympathy with their plight, but since then, any goodwill towards the Premiership clubs has been impossible to dredge up such has been the arrogant manner in which they have gone about their business. When soulless franchises like Saracens, who have offered virtually nothing to the Heineken Cup over its lifetime, are talking with such a sense of entitlement to a greater share of the profits the tournament generates, it’s pretty clear this isn’t really about qualification rules at all, but is about cold, hard dollars. While next to nothing has been revealed about the goings on in the meetings between the various stakeholders, it appears that the Pro12 have had to concede on qualification rules, and some form of merit-based order has been pencilled in. The biggest stumbling block, it seems, is the conflict between the two mutually exclusive TV deals that have been signed; the Premiership clubs’ landmark BT deal and the ERC’s extension of the current deal with Sky. The two can’t co-exist, and either one or other of the parties performs the mother of all climbdowns or this one will have to be settled by highly paid lawyers, who look like being the only real winners in the whole sorry saga. The third possible outcome is that no agreement is reached at all, and it’s looking like a real possibility, one that the IRFU, as well as everyone else, will have to budget for. Saracens’ chairman, the loveable Nigel Wray said this week that while he hopes there is no ‘hiatus’ in the Heineken Cup, he thinks there will be. Ouch. Can it really come to pass that the world’s most exciting rugby tournament will be sabotaged by the very powers that want to dominate it? Worryingly, yes. The threat, Wray says, has to be real or else the changes the English clubs want, will never be made. It’s a game of high stakes poker. The Heineken Cup has always been a curious competition; a mix of clubs and franchises of unions, each with differently aligned goals and priorities, at times it has been almost stuck together with sellotape. But no other rugby tournament has caught the imagination so vividly. No other provides such variety, and the quirks of the format – rubbish seeding rules and scheduling of matches in mini-blocks – while they can appear unfair, really only add to the sense of excitement. It has been the lifeblood of Irish rugby in the last decade, opening the game up to a new audience. The idea that perhaps it won’t exist next season is almost too awful to contemplate, not least from a financial perspective for the IRFU. Indeed, of all the stakeholders, it’s the IRFU that surely has the most to lose. The Welsh franchises are a sideshow to the national team, and have yet to catch fire in any event; plus they have the Anglo-Welsh cup as something to fill out the calendar. The Scottish teams rarely impact in the Heiny, but have tended to save their best for the league. They’d be able to muddle through. But for the cashflow generated by sold out matches in Ravenhill, the RDS and Thomond Park that would be more or less guaranteed in any other year, as well as the potential for lucrative home knockout matches, to be taken from underneath them, would be a disaster for the IRFU. Put simply, what would the unions do to fill the calendar? How would the provinces sell greatly devalued season tickets to their support base? How would they attract the quality foreign players that the provinces need to fill gaps in their talent pool? Hard to believe it, but these are questions which the IRFU may have to start thinking about in the next twelve months. The King is dead, long live … Ian Keatley? The new season approacheth. The season tickets have arrived. Anticipation builds. We’re back in the hotseat. Rather than write dullsville ‘season previews’ for each Irish province, we’re going to focus on a couple of themes that will be woth following over the season. First up, the impossible art of replacing the irreplaceable. With the move of Ronan O’Gara from the playing sphere into the coaching sphere, it isn’t just Rodrigo Roncero who is devastated by the news. The last time Munster started a season with someone other than the apple-cheeked charmer at outhalf, Munster weren’t even … Munster, as we now know them. It was still the era of bugger-all fans, Shannon making a serious pitch to play in their stead in the HEC and an unknown shrewd and reticent Cork teacher taking training sessions off his own bat. The soaring ambition, silverware and modern stadium that now characterise Munster rugby were such pipe dreams as to be a laughable conceit. Whoever steps into O’Gara’s boots in the long term has to deal with the expectation and standards that his generation brought to the table – keeping the score to less than 50 isn’t where they are at now. O’Gara might have played like a pub player at times for Ireland last year, but he was instrumental in guiding Munster past the Awesome Power of Chris Robshaw and Harlequins and then putting the heart across Mental Strength Gurus Clermont Auvergne in the next round. For all the impressive performances Ian Keatley put out in the first half of the Pro12, and his apparent greater suitability for Rob Penney’s vision for Munster, he never hesitated in selecting Radge for those massive games. But now that Radge is sipping Cotes du Rhone with Pippo Contepomi in Mario Ledesma’s Parisian bolthole, will Keatley be able to step up to the plate and be that HEC standard outhalf Munster need? Keatley has shown himself to be a capable fly-half, but worryingly inconsistent. He can look great one minute and mediocre the next. Can he put in the sort of performances Munster will need to steer them around the toughest grounds in Europe? Moreover, patience isn’t going to be given to a guy who has had two years to learn from O’Gara. Plus the age profile of other Irish out-halves combined with career path of Keatley means that this is essentially his final chance to nail a starting shirt in the HEC for an Irish province. No pressure. The Munster faithful are putting a huge amount of faith and hope in young gun JJ Hanrahan, who has looked a genuine playmaker on the few occasions we’ve seen him. Problem is, dropping a guy with a handful of appearances (just five starts, all bar one at inside centre, and six reserve appearances) into a key position and asking him to emulate the best you’ve ever had is such a huge ask as to be ridiculous. Again, no pressure. At least when Ulster threw Paddy Jackson in at the deep end, Jackson had come through years of schools and underage rugby playing the position exclusively – and for all that, Jackson’s tenure at fly-half for Ulster has been far from smooth. It was only when Ulster held Jackson back from last year’s JRWC that Hanrahan played at 10, deputising for the pear-cheeked Belfast crooner. The trouble with replacing O’Gara is that it has to happen not only on the pitch but in the hearts and minds of the fans. As great a player and dominant a personality as Jonny Sexton admitted that he struggled with it for a long time. For Ian Keatley, it will be pressure on a scale he has never experienced. We also have a sense that among Munster fans, he is on the backfoot a little, and is seen as a bit of a Leinster reject. The will of the people is for Hanrahan to leapfrog him into the first team. At least his replacement won’t have to endure ROG-cam every time he fluffs a kick, although we won’t rule out RTE having a special set-up cutting to ROG in his Parisian living room watching on telly. One other key reason for Munster to get this one right revolves around the future of the man who’ll be dishing out the passes to either of these men – the Lions best scrum half and Simon Zebo’s good friend, Conor Murray. The good news for whoever ends up playing at 10 is that they will be paired with an authoritative and skilful scrum-half. The bad news (for the IRFU) is that they have to pay him his worth and satisfy his ambitions. With Murray’s performaces last season and his ongoing (and mystifying) contractual wranglings, you can bet your bottom dollar there will be some French clubs dangling huge carrots under his nose in the coming months (remember Sexton’s conversations with the union and RM started to get serious in November last year) – if outhalf becomes a problem position for Munster and begins to look like a multi-year project, will Murray consider strolling off to, say, Perpignan for a few years in the sun and come back when it’s sorted? Maybe, maybe not. These are interesting times at fly-half for all of the ‘big three’, with Ian Madigan about to be thrust into the role of first choice 10 at Leinster, while up North, Paddy Jackson is continuing to try and stamp his authority on a team where the scrum half acts as chief playmaker. With O’Gara out of the picture, the role as deputy to Sexton at international level is up for grabs. Of the chasing pack, Madigan is currently well in front, having made the Lions reserve list and been selected on the summer tour of North America, but things can change quickly. Munster might appear to have a bye to the HEC quarter-finals, but it’s easy to forget how often O’Gara took the points that his pack were offering up – if Keatley or Hanrahan don’t impress early on, a double header with a rejuvenated USAP suddenly will begin looking pretty tough and must-win. Just the way O’Gara would like it – what about Keatley or Hanrahan?